Barnier Meets the Austrian Government - What's the Point of a Brexit Postponement? 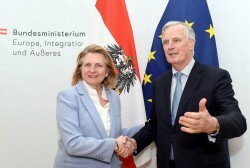 The Brussels chief negotiator for the Brexit, Michel Barnier, visited Vienna for talks with Foreign Minister Kneissl, Chancellor Kurz and Chancellery Minister Blümel. The agenda of the meeting included an exchange on the current state of the Brexit negotiations and the future relationship between the European Union and the United Kingdom. What Does No-Deal Brexit Really Mean for British-Austrian Travel Behaviour? As of March 29, 2019 at 11.00 p.m. (UTC Universal Time Coordinated) or March 30, 2019 at 00:00 (CET Central European Time) the United Kingdom is no longer an EU member and is to be treated as such by Austria. In order to close the legal gaps in the course of a disorderly Brexit, a comprehensive law is in preparation. This law will be subject to numerous amendments in several Austrian ministries. 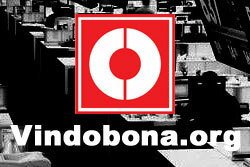 The main areas affected are civil rights (in particular right of residence, social security), transport and customs. In following we look at the effects of the No-Deal-Brexit on travel behaviour. The Finance Ministers of the Eurogroup countries are discussing the future of the banking union in Brussels today. Tuesday night the Finance Ministers of the European Union have gradually approached on the outstanding issues in the handling with banks threatened by bankruptcy.